If your US business wants to accept credit card payments online, by phone, mobile, or in a retail store environment you'll need a merchant account. Our experienced merchant services professionals work with US based businesses to help them lower their credit card processing rates and build and maintain a strong processing history. CyoGate has one of the best payment gateway platforms in the world and works with dozens of credit card and eCheck processors. A New Kind of Credit Card Processing Company! CyoGate offers US businesses a different experience than found a most other credit card processing companies. Most merchant services providers are "Agents" or "Independent Sales Offices (ISO's)" for one or maybe two different credit card processors. As a payment gateway provider, CyoGate acts as Agents for literally dozens of different merchant processors world-wide. This means CyoGate does not have to place US merchants with a specific processor and keep them there. We work closely with our merchant clients to solicit and negotiate offers from multiple credit card processing companies while, at the same time, helping them build a strong merchant application "package" and prevent chargebacks. As the package and processing history becomes stronger, CyoGate can then help negotiate better rates & terms with other credit card processing companies. 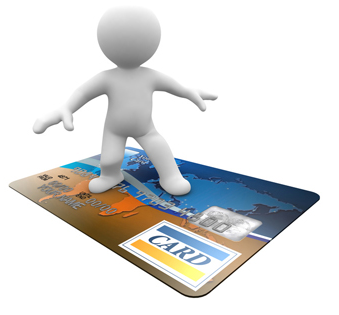 If you're looking for expert Credit Card Processing Services in the USA, please contact us today. If the domestic banks are denying your merchant application because they believe your business is too high risk, CyoGate can help! We have an offshore network of merchant processing partners that enable us to provide low cost, high risk merchant solutions to a much wider range of businesses and industries.